“Department of Police” redirects here. For other uses, see Department of Police (disambiguation). “City Police” redirects here. For the 1993 Indian film, see City Police (film). Numerous slang terms exist for the police. Many slang terms for police officers are decades or centuries old with lost etymology. One of the oldest, “cop”, has largely lost its slang connotations and become a common colloquial term used both by the public and police officers to refer to their profession. First attested in English in the early 15th century, initially in a range of senses encompassing ‘(public) policy; state; public order’, the word police comes from Middle French police (‘public order, administration, government’), in turn from Latin politia, which is the Latinisation of the Greek πολιτεία (politeia), “citizenship, administration, civil polity”. This is derived from πόλις (polis), “city”. Law enforcement in ancient China was carried out by “prefects” for thousands of years since it developed in both the Chu and Jin kingdoms of the Spring and Autumn period. In Jin, dozens of prefects were spread across the state, each having limited authority and employment period. They were appointed by local magistrates, who reported to higher authorities such as governors, who in turn were appointed by the emperor, and they oversaw the civil administration of their “prefecture”, or jurisdiction. Under each prefect were “subprefects” who helped collectively with law enforcement in the area. Some prefects were responsible for handling investigations, much like modern police detectives. Prefects could also be women. The concept of the “prefecture system” spread to other cultures such as Korea and Japan. In ancient Greece, publicly owned slaves were used by magistrates as police. In Athens, a group of 300 Scythian slaves (the ῥαβδοῦχοι, “rod-bearers”) was used to guard public meetings to keep order and for crowd control, and also assisted with dealing with criminals, handling prisoners, and making arrests. Other duties associated with modern policing, such as investigating crimes, were left to the citizens themselves. Under the reign of Augustus, when the capital had grown to almost one million inhabitants, 14 wards were created; the wards were protected by seven squads of 1,000 men called “vigiles“, who acted as firemen and nightwatchmen. Their duties included apprehending thieves and robbers and capturing runaway slaves. The vigiles were supported by the Urban Cohorts who acted as a heavy-duty anti-riot force and even the Praetorian Guard if necessary. In medieval Spain, Santa Hermandades, or “holy brotherhoods”, peacekeeping associations of armed individuals, were a characteristic of municipal life, especially in Castile. As medieval Spanish kings often could not offer adequate protection, protective municipal leagues began to emerge in the twelfth century against banditry and other rural criminals, and against the lawless nobility or to support one or another claimant to a crown. In France during the Middle Ages, there were two Great Officers of the Crown of France with police responsibilities: The Marshal of France and the Constable of France. The military policing responsibilities of the Marshal of France were delegated to the Marshal’s provost, whose force was known as the Marshalcy because its authority ultimately derived from the Marshal. The marshalcy dates back to the Hundred Years’ War, and some historians trace it back to the early 12th century. Another organisation, the Constabulary (French: Connétablie), was under the command of the Constable of France. The constabulary was regularised as a military body in 1337. Under Francis I of France (who reigned 1515–1547), the Maréchaussée was merged with the Constabulary. The resulting force was also known as the Maréchaussée, or, formally, the Constabulary and Marshalcy of France. The English system of maintaining public order since the Norman conquest was a private system of tithings, led by a constable, which was based on a social obligation for the good conduct of the others; more common was that local lords and nobles were responsible for maintaining order in their lands, and often appointed a constable, sometimes unpaid, to enforce the law. Eventually, constables became the first ‘police’ official to be tax-supported. There was also a system of investigative “juries“. From about 1500, private watchmen were funded by private individuals and organisations to carry out police functions. They were later nicknamed ‘Charlies’, probably after the reigning monarch King Charles II. Thief-takers were also rewarded for catching thieves and returning the stolen property. The first use of the word police (“Polles”) in English comes from the book “The Second Part of the Institutes of the Lawes of England” published in 1642. The first centrally organised police force was created by the government of King Louis XIV in 1667 to police the city of Paris, then the largest city in Europe. The royal edict, registered by the Parlement of Paris on March 15, 1667 created the office of lieutenant général de police (“lieutenant general of police”), who was to be the head of the new Paris police force, and defined the task of the police as “ensuring the peace and quiet of the public and of private individuals, purging the city of what may cause disturbances, procuring abundance, and having each and everyone live according to their station and their duties”. After the French Revolution, Napoléon I reorganized the police in Paris and other cities with more than 5,000 inhabitants on February 17, 1800 as the Prefecture of Police. On March 12, 1829, a government decree created the first uniformed police in France, known as sergents de ville (“city sergeants”), which the Paris Prefecture of Police’s website claims were the first uniformed policemen in the world. The word “police” was borrowed from French into the English language in the 18th century, but for a long time it applied only to French and continental European police forces. The word, and the concept of police itself, were “disliked as a symbol of foreign oppression” (according to Britannica 1911). Before the 19th century, the first use of the word “police” recorded in government documents in the United Kingdom was the appointment of Commissioners of Police for Scotland in 1714 and the creation of the Marine Police in 1798. In 1797, Patrick Colquhoun was able to persuade the West Indies merchants who operated at the Pool of London on the River Thames, to establish a police force at the docks to prevent rampant theft that was causing annual estimated losses of £500,000 worth of cargo. The idea of a police, as it then existed in France, was considered as a potentially undesirable foreign import. In building the case for the police in the face of England’s firm anti-police sentiment, Colquhoun framed the political rationale on economic indicators to show that a police dedicated to crime prevention was “perfectly congenial to the principle of the British constitution”. Moreover, he went so far as to praise the French system, which had reached “the greatest degree of perfection” in his estimation. Poster against “detested” Police at the town of Aberystwyth, Wales; April 1850. With the initial investment of £4,200, the new trial force of the Thames River Police began with about 50 men charged with policing 33,000 workers in the river trades, of whom Colquhoun claimed 11,000 were known criminals and “on the game”. The force was a success after its first year, and his men had “established their worth by saving £122,000 worth of cargo and by the rescuing of several lives”. Word of this success spread quickly, and the government passed the Marine Police Bill on 28 July 1800, transforming it from a private to public police agency; now the oldest police force in the world. Colquhoun published a book on the experiment, The Commerce and Policing of the River Thames. It found receptive audiences far outside London, and inspired similar forces in other cities, notably, New York City, Dublin, and Sydney. Colquhoun’s utilitarian approach to the problem – using a cost-benefit argument to obtain support from businesses standing to benefit – allowed him to achieve what Henry and John Fielding failed for their Bow Street detectives. Unlike the stipendiary system at Bow Street, the river police were full-time, salaried officers prohibited from taking private fees. His other contribution was the concept of preventive policing; his police were to act as a highly visible deterrent to crime by their permanent presence on the Thames. Colquhoun’s innovations were a critical development leading up to Robert Peel‘s “new” police three decades later. London was fast reaching a size unprecedented in world history, due to the onset of the Industrial Revolution. It became clear that the locally maintained system of volunteer constables and “watchmen” was ineffective, both in detecting and preventing crime. A parliamentary committee was appointed to investigate the system of policing in London. Upon Sir Robert Peel being appointed as Home Secretary in 1822, he established a second and more effective committee, and acted upon its findings. The 1829 Metropolitan Police Act created a modern police force by limiting the purview of the force and its powers, and envisioning it as merely an organ of the judicial system. Their job was apolitical; to maintain the peace and apprehend criminals for the courts to process according to the law. This was very different to the “continental model” of the police force that had been developed in France, where the police force worked within the parameters of the absolutist state as an extension of the authority of the monarch and functioned as part of the governing state. In 1566, the first police investigator of Rio de Janeiro was recruited. By the 17th century, most captaincies already had local units with law enforcement functions. On July 9, 1775 a Cavalry Regiment was created in the state of Minas Gerais for maintaining law and order. In 1808, the Portuguese royal family relocated to Brazil, because of the French invasion of Portugal. King João VI established the “Intendência Geral de Polícia” (General Police Intendancy) for investigations. He also created a Royal Police Guard for Rio de Janeiro in 1809. In 1831, after independence, each province started organizing its local “military police“, with order maintenance tasks. The Federal Railroad Police was created in 1852, Federal Highway Police, was established in 1928, and Federal Police in 1967. In Canada, the Royal Newfoundland Constabulary was founded in 1729, making it the first police force in present-day Canada. It was followed in 1834 by the Toronto Police, and in 1838 by police forces in Montreal and Quebec City. A national force, the Dominion Police, was founded in 1868. Initially the Dominion Police provided security for parliament, but its responsibilities quickly grew. The famous Royal Northwest Mounted Police was founded in 1873. The merger of these two police forces in 1920 formed the world-famous Royal Canadian Mounted Police. In British North America, policing was initially provided by local elected officials. For instance, the New York Sheriff’s Office was founded in 1626, and the Albany County Sheriff’s Department in the 1660s. In the colonial period, policing was provided by elected sheriffs and local militias. In the American Old West, policing was often of very poor quality. The Army often provided some policing alongside poorly resourced sheriffs and temporarily organized posses. Public organizations were supplemented by private contractors, notably the Pinkerton National Detective Agency, which was hired by individuals, businessmen, local governments and the federal government. At its height, the Pinkerton Agency’s numbers exceeded those of the United States Army. Michel Foucault claims that the contemporary concept of police as a paid and funded functionary of the state was developed by German and French legal scholars and practitioners in Public administration and Statistics in the 17th and early 18th centuries, most notably with Nicolas Delamare’s Traité de la Police (“Treatise on the Police”), first published in 1705. The German Polizeiwissenschaft (Science of Police) first theorized by Philipp von Hörnigk a 17th-century Austrian Political economist and civil servant and much more famously by Johann Heinrich Gottlob Justi who produced an important theoretical work known as Cameral science on the formulation of police. Foucault cites Magdalene Humpert author of Bibliographie der Kameralwissenschaften (1937) in which the author makes note of a substantial bibliography was produced of over 4000 pieces of the practice of Polizeiwissenschaft however, this maybe a mistranslation of Foucault’s own work the actual source of Magdalene Humpert states over 14,000 items were produced from the 16th century dates ranging from 1520–1850. 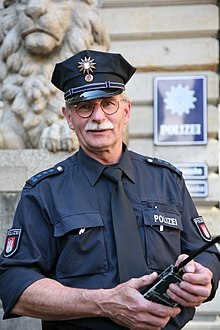 As conceptualized by the Polizeiwissenschaft, according to Foucault the police had an administrative, economic and social duty (“procuring abundance”). 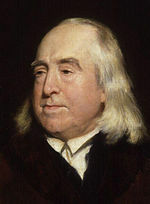 It was in charge of demographic concerns and needed to be incorporated within the western political philosophy system of raison d’état and therefore giving the superficial appearance of empowering the population (and unwittingly supervising the population), which, according to mercantilist theory, was to be the main strength of the state. Thus, its functions largely overreached simple law enforcement activities and included public health concerns, urban planning (which was important because of the miasma theory of disease; thus, cemeteries were moved out of town, etc. ), and surveillance of prices. Patrick Colquhoun‘s influential work, A Treatise on the Police of the Metropolis (1797) was heavily influenced by Benthamite thought. Colquhoun’s Thames River Police was founded on these principles, and in contrast to the Bow Street Runners, acted as a deterrent by their continual presence on the riverfront, in addition to being able to intervene if they spotted a crime in progress. Edwin Chadwick‘s 1829 article, “Preventive police” in the London Review, argued that prevention ought to be the primary concern of a police body, which was not the case in practice. The reason, argued Chadwick, was that “A preventive police would act more immediately by placing difficulties in obtaining the objects of temptation.” In contrast to a deterrent of punishment, a preventive police force would deter criminality by making crime cost-ineffective – “crime doesn’t pay”. In the second draft of his 1829 Police Act, the “object” of the new Metropolitan Police, was changed by Robert Peel to the “principal object,” which was the “prevention of crime.” Later historians would attribute the perception of England’s “appearance of orderliness and love of public order” to the preventive principle entrenched in Peel’s police system. Development of modern police forces around the world was contemporary to the formation of the state, later defined by sociologist Max Weber as achieving a “monopoly on the legitimate use of physical force” and which was primarily exercised by the police and the military. Marxist theory situates the development of the modern state as part of the rise of capitalism, in which the police are one component of the bourgeoisie‘s repressive apparatus for subjugating the working class. By contrast, the Peelian principles argue that “the power of the police…is dependent on public approval of their existence, actions and behavior”, a philosophy known as policing by consent. The police who wear uniforms make up the majority of a police service’s personnel. Their main duty is to respond to calls to the emergency telephone number. When not responding to these call-outs, they will do work aimed at preventing crime, such as patrols. The uniformed police are known by varying names such as preventive police, the uniform branch/division, administrative police, order police, the patrol bureau/division or patrol. In Australia and the United Kingdom, patrol personnel are also known as “general duties” officers. 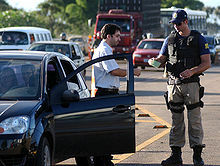 Atypically, Brazil‘s preventive police are known as Military Police. As implied by the name, uniformed police wear uniforms. They perform functions that require an immediate recognition of an officer’s legal authority and a potential need for force. Most commonly this means intervening to stop a crime in progress and securing the scene of a crime that has already happened. Besides dealing with crime, these officers may also manage and monitor traffic, carry out community policing duties, maintain order at public events or carry out searches for missing people (in 2012, the latter accounted for 14% of police time in the United Kingdom). As most of these duties must be available as a 24/7 service, uniformed police are required to do shift work. Police detectives are responsible for investigations and detective work. Detectives may be called Investigations Police, Judiciary/Judicial Police, and Criminal Police. In the UK, they are often referred to by the name of their department, the Criminal Investigation Department (CID). Detectives typically make up roughly 15–25% of a police service’s personnel. Detectives, in contrast to uniformed police, typically wear ‘business attire’ in bureaucratic and investigative functions where a uniformed presence would be either a distraction or intimidating, but a need to establish police authority still exists. “Plainclothes” officers dress in attire consistent with that worn by the general public for purposes of blending in. In some cases, police are assigned to work “undercover“, where they conceal their police identity to investigate crimes, such as organized crime or narcotics crime, that are unsolvable by other means. In some cases this type of policing shares aspects with espionage. The relationship between detective and uniformed branches varies by country. In the United States, there is high variation within the country itself. Many US police departments require detectives to spend some time on temporary assignments in the patrol division. The argument is that rotating officers helps the detectives to better understand the uniformed officers’ work, to promote cross-training in a wider variety of skills, and prevent “cliques” that can contribute to corruption or other unethical behavior. Conversely, some countries regard detective work as being an entirely separate profession, with detectives working in separate agencies and recruited without having to serve in uniform. A common compromise in English-speaking countries is that most detectives are recruited from the uniformed branch, but once qualified they tend to spend the rest of their careers in the detective branch. Other volunteer organizations work with the police and perform some of their duties. Groups in the U.S. including Retired and Senior Volunteer Program, Community Emergency Response Team and the Boy Scout’s Police Explorers provide training, traffic and crowd control, disaster response and other policing duties. In the U.S., the Volunteers in Police Service program assists over 200,000 volunteers in almost 2,000 programs. Volunteers may also work on the support staff. Examples of these schemes are Volunteers in Police Service in the US, Police Support Volunteers in the UK and Volunteers in Policing in New South Wales. Specialized preventive and detective groups, or Specialist Investigation Departments exist within many law enforcement organizations either for dealing with particular types of crime, such as traffic law enforcement, K9, crash investigation, homicide, or fraud; or for situations requiring specialized skills, such as underwater search, aviation, explosive device disposal (“bomb squad“), and computer crime. Because their situational mandate typically focuses on removing innocent bystanders from dangerous people and dangerous situations, not violent resolution, they are often equipped with non-lethal tactical tools like chemical agents, “flashbang” and concussion grenades, and rubber bullets. The London Metropolitan police’s Specialist Firearms Command (CO19) is a group of armed police used in dangerous situations including hostage taking, armed robbery/assault and terrorism. Not a lot of empirical work on the practices of inter/transnational information and intelligence sharing has been undertaken. A notable exception is James Sheptycki‘s study of police cooperation in the English Channel region (2002), which provides a systematic content analysis of information exchange files and a description of how these transnational information and intelligence exchanges are transformed into police case-work. The study showed that transnational police information sharing was routinized in the cross-Channel region from 1968 on the basis of agreements directly between the police agencies and without any formal agreement between the countries concerned. By 1992, with the signing of the Schengen Treaty, which formalized aspects of police information exchange across the territory of the European Union, there were worries that much, if not all, of this intelligence sharing was opaque, raising questions about the efficacy of the accountability mechanisms governing police information sharing in Europe (Joubert and Bevers, 1996). Studies of this kind outside of Europe are even rarer, so it is difficult to make generalizations, but one small-scale study that compared transnational police information and intelligence sharing practices at specific cross-border locations in North America and Europe confirmed that low visibility of police information and intelligence sharing was a common feature (Alain, 2001). Intelligence-led policing is now common practice in most advanced countries (Ratcliffe, 2007) and it is likely that police intelligence sharing and information exchange has a common morphology around the world (Ratcliffe, 2007). James Sheptycki has analyzed the effects of the new information technologies on the organization of policing-intelligence and suggests that a number of ‘organizational pathologies’ have arisen that make the functioning of security-intelligence processes in transnational policing deeply problematic. He argues that transnational police information circuits help to “compose the panic scenes of the security-control society”. The paradoxical effect is that, the harder policing agencies work to produce security, the greater are feelings of insecurity. They can also be armed with non-lethal (more accurately known as “less than lethal” or “less-lethal”) weaponry, particularly for riot control. Non-lethal weapons include batons, tear gas, riot control agents, rubber bullets, riot shields, water cannons and electroshock weapons. Police officers often carry handcuffs to restrain suspects. The use of firearms or deadly force is typically a last resort only to be used when necessary to save human life, although some jurisdictions (such as Brazil) allow its use against fleeing felons and escaped convicts. A “shoot-to-kill” policy was recently introduced in South Africa, which allows police to use deadly force against any person who poses a significant threat to them or civilians. With the country having one of the highest rates of violent crime, president Jacob Zuma states that South Africa needs to handle crime differently from other countries. Modern police forces make extensive use of two-way radio communications equipment, carried both on the person and installed in vehicles, to co-ordinate their work, share information, and get help quickly. In recent years, vehicle-installed mobile data terminals have enhanced the ability of police communications, enabling easier dispatching of calls, criminal background checks on persons of interest to be completed in a matter of seconds, and updating officers’ daily activity log and other, required reports on a real-time basis. Other common pieces of police equipment include flashlights/torches, whistles, police notebooks and “ticket books” or citations. Broken windows’ policing was another, related approach introduced in the 1980s by James Q. Wilson and George L. Kelling, who suggested that police should pay greater attention to minor “quality of life” offenses and disorderly conduct. The concept behind this method is simple: broken windows, graffiti, and other physical destruction or degradation of property create an environment in which crime and disorder is more likely. The presence of broken windows and graffiti sends a message that authorities do not care and are not trying to correct problems in these areas. Therefore, correcting these small problems prevents more serious criminal activity. The theory was popularised in the early 1990s by police chief William J. Bratton and New York City Mayor Rudy Giuliani. In many nations, criminal procedure law has been developed to regulate officers’ discretion, so that they do not arbitrarily or unjustly exercise their powers of arrest, search and seizure, and use of force. In the United States, Miranda v. Arizona led to the widespread use of Miranda warnings or constitutional warnings. In Terry v. Ohio (1968) the court divided seizure into two parts, the investigatory stop and arrest. The court further held that during an investigatory stop a police officer’s search ” [is] confined to what [is] minimally necessary to determine whether [a suspect] is armed, and the intrusion, which [is] made for the sole purpose of protecting himself and others nearby, [is] confined to ascertaining the presence of weapons” (U.S. Supreme Court). Before Terry, every police encounter constituted an arrest, giving the police officer the full range of search authority. Search authority during a Terry stop (investigatory stop) is limited to weapons only. All police officers in the United Kingdom, whatever their actual rank, are ‘constables’ in terms of their legal position. This means that a newly appointed constable has the same arrest powers as a Chief Constable or Commissioner. However, certain higher ranks have additional powers to authorize certain aspects of police operations, such as a power to authorize a search of a suspect’s house (section 18 PACE in England and Wales) by an officer of the rank of Inspector, or the power to authorize a suspect’s detention beyond 24 hours by a Superintendent. The Commission for Public Complaints against the RCMP later concluded the use of tear gas against demonstrators at the summit constituted “excessive and unjustified force”. Police services commonly include units for investigating crimes committed by the police themselves. These units are typically called Inspectorate-General, or in the US, “internal affairs“. In some countries separate organizations outside the police exist for such purposes, such as the British Independent Office for Police Conduct. The fact that this trend has occurred contemporaneously with the rise of the civil rights movement, the “War on Drugs“, and a precipitous rise in violent crime from the 1960s to the 1990s has made questions surrounding the role, administration and scope of police authority increasingly complicated. Since 1855, the Supreme Court of the United States has consistently ruled that law enforcement officers have no duty to protect any individual, despite the motto “protect and serve”. Their duty is to enforce the law in general. The first such case was in 1855 ( South v. State of Maryland (Supreme Court of the United States 1855). Text) and the most recent in 2005 (Town of Castle Rock v. Gonzales). In contrast, the police are entitled to protect private rights in some jurisdictions. To ensure that the police would not interfere in the regular competencies of the courts of law, some police acts require that the police may only interfere in such cases where protection from courts cannot be obtained in time, and where, without interference of the police, the realization of the private right would be impeded. This would, for example, allow police to establish a restaurant guest’s identity and forward it to the innkeeper in a case where the guest cannot pay the bill at nighttime because his wallet had just been stolen from the restaurant table. The United States has a highly decentralized and fragmented system of law enforcement, with over 17,000 state and local law enforcement agencies. These agencies include local police, county police (often in the form of a sheriff’s office), state police and federal law enforcement agencies. Federal agencies, such as the FBI, only have jurisdiction over federal crimes or those that involve more than one state. Other federal agencies have jurisdiction over a specific type of crime. Examples include the Federal Protective Service, which patrols and protects government buildings; the postal police, which protect postal buildings, vehicles and items; the Park Police, which protect national parks; and Amtrak Police, which patrol Amtrak stations and trains. There are also some government agencies that perform police functions in addition to other duties, such as the Coast Guard. ^ “The Role and Responsibilities of the Police” (PDF). Policy Studies Institute. p. xii. Retrieved 2009-12-22. ^ Lioe, Kim Eduard (2010-12-03). Armed Forces in Law Enforcement Operations? – The German and European Perspective (1989 ed.). Springer-Verlag Berlin Heidelberg. pp. 52–57. ISBN 978-3-642-15433-1. ^ Beam, Christopher (2009-06-17). “Prints of Persia”. Slate. ISSN 1091-2339. Retrieved 2017-08-30. ^ “Police”. Oxford English Dictionary. Retrieved 4 February 2015. ^ Dobrin, Adam (July 2017). “Volunteer police: History, benefits, costs and current descriptions”. Security Journal. 30 (3): 717–733. doi:10.1057/sj.2015.18. ISSN 0955-1662. ^ “Bicentenaire: theme expo4”. prefecture-police-paris.interieur.gouv.fr. Archived from the original on May 6, 2008. Retrieved 2009-06-21. ^ “Police: The formation of the English Police”, Encyclopædia Britannica, 2007. Retrieved 6 February 2007. ^ “Police: History – The Beginning Of “modern” Policing In England”. ^ “Glasgow Police”. Scotia-news.com. Archived from the original on July 16, 2009. Retrieved 2009-06-21. ^ Kathryn Costello. “Industrial Revolution”. Nettlesworth.durham.sch.uk. Archived from the original on May 1, 2009. Retrieved 2009-05-08. ^ “The National Archives | NDAD | Metropolitan Police”. Ndad.nationalarchives.gov.uk. Archived from the original on 2008-11-22. Retrieved 2009-05-08. ^ “Policing Profiles of Participating and Partner States”. POLIS. Archived from the original on 2013-12-03. ^ “A BRIEF GUIDE TO POLICE HISTORY”. Archived from the original on September 8, 2009. ^ Timothy Roufa. “The History of Modern Policing: How the Modern Police Force Evolved”. ^ Brodeur, Jean-Paul (1992). “High Policing and Low Policing: Remarks about the Policing of Political Activities”. In Kevin R.E. McCormick; Livy A. Visano (eds.). Understanding Policing. Canadian Scholars’ Press. pp. 284–285, 295. ISBN 978-1-55130-005-4. LCCN 93178368. OCLC 27072058. OL 1500609M. ^ “Metropolitan Police Service – History of the Metropolitan Police Service”. Met.police.uk. Archived from the original on 2009-04-26. Retrieved 2009-05-08. ^ Dan Zambonini (October 24, 2009). “Joseph Hudson: Inventor of the Police and Referee Whistles”. ^ “Respect – Homepage”. Together.gov.uk. Archived from the original on December 30, 2005. Retrieved 2009-06-21. ^ “Historical overview”. Interior Security Forces (Lebanon). Archived from the original on June 2, 2006. Retrieved June 26, 2007. ^ “Why is the colour of the Indian police uniform khaki?”. The Times of India. 3 March 2007. Retrieved 2010-05-11. ^ “The history of the Park Police”. National Park Service. Retrieved February 24, 2010. ^ “United States Mint Police”. United States Mint. Retrieved February 24, 2010. ^ “Department History”. Philadelphia Police Department. Archived from the original on May 17, 2008. Retrieved February 24, 2010. ^ “History of the Richmond Police Department”. City of Richmond. Retrieved February 24, 2010. ^ “A Brief History of The B.P.D.” City of Boston. Archived from the original on March 4, 2012. Retrieved February 24, 2010. ^ “New York City Police Department”. New York Daily News. Archived from the original on January 18, 2010. Retrieved February 24, 2010. ^ “Secret Service History”. United States Secret Service. Archived from the original on February 19, 2010. Retrieved February 24, 2010. ^ “Lists & Structure of Governments”. Census.gov. Retrieved 2012-07-11. ^ Marjie Bloy, “Edwin Chadwick (1800–1890),” The Victorian Web. ^ Quoted in H.S. Cooper, “The Evolution of Canadian Police.” In eds., W.T. McGrath and M.P. Mitchell, The Police Function in Canada. Toronto: Methuen, 1981, 39. ISBN 0-458-93920-X. ^ Charles Reith, “Preventive Principle of Police,” Journal of Criminal Law and Criminology (1931–1951), vol. 34, no. 3 (Sept.–Oct. 1943): 207. ^ a b c Bayley, David H. (1979). “Police Function, Structure, and Control in Western Europe and North America: Comparative and Historical Studies”. Crime & Justice. 1: 109–143. doi:10.1086/449060. NCJ 63672. ^ “PMMG”. Policiamilitar.mg.gov.br. Archived from the original on July 12, 2008. Retrieved 2009-06-21. ^ “What happens when someone goes missing?”. BBC News. 24 August 2012. Retrieved 3 September 2018. ^ formerly named SO19 “Metropolitan Police Service – Central Operations, Specialist Firearms unit (CO19)”. Metropolitan Police Service. Archived from the original on September 15, 2008. Retrieved 2008-08-04. ^ a b c “Middle East | Saudi minister rebukes religious police”. BBC News. 2002-11-04. Retrieved 2012-07-11. ^ Sheptycki, James (2007). “High Policing in the Security Control Society”. Policing. 1 (1). pp. 70–79. doi:10.1093/police/pam005. Retrieved 2011-04-09. ^ “NSW “gobsmacked” at NZ’s unarmed force”. Television New Zealand. 29 August 2010. Retrieved 9 August 2014. ^ Dao, James (1996-04-18). “Pataki Curbs Unmarked Cars’ Use”. New York Times. Retrieved 2009-06-21. ^ “Car Fire Rescue, Caught On Tape”. CBS News. October 19, 2005. My partner grabbed the fire extinguisher and I ran to the car. We didn’t know somebody was in there at first. And then everybody started yelling, ‘There’s somebody trapped! There’s somebody trapped!’ And, along with the help of a bunch of citizens, we were able to get him out in the nick of time. ^ “Early Defibrillation”. City of Rochester, Minnesota. Archived from the original on July 1, 2010. ^ Reiss Jr; Albert J. (1992). “Police Organization in the Twentieth Century”. Crime and Justice. 15: 51–97. doi:10.1086/449193. NCJ 138800. ^ “Finest of the Finest”. TIME Magazine. February 18, 1966. Archived from the original on October 14, 2008. ^ “Guide to the Orlando Winfield Wilson Papers, ca. 1928–1972”. Online Archive of California. Retrieved 2006-10-20. ^ “Chicago Chooses Criminologist to Head and Clean Up the Police”. United Press International/The New York Times. February 22, 1960. ^ Tilley, Nick (2003). “Problem-Oriented Policing, Intelligence-Led Policing and the National Intelligence Model”. Jill Dando Institute of Crime Science, University College London. ^ “Intelligence-led policing: A Definition”. Royal Canadian Mounted Police. Archived from the original on May 15, 2006. Retrieved 2007-06-15. ^ Sherman, Lawrence W. & Richard A. Berk (April 1984). “The Minneapolis Domestic Violence Experiment” (PDF). Police Foundation. Archived from the original (PDF) on 2007-07-05. Retrieved 2007-06-12. ^ Sherman, L.W. ; Weisburd, D. (1995). “General deterrent effects of police patrol in crime “hot spots”: A randomized, controlled trial”. Justice Quarterly. 12 (4): 625–648. doi:10.1080/07418829500096221. ^ Sherman, L.W. (1983). ‘Reducing Police Gun Use: Critical Events, Administrative Policy and Organizational Change’, in Punch, M. (ed.) Control in the Police Organization, Cambridge, Massachusetts: M.I.T. Press. ^ “RCMP used ‘excessive force’ at Quebec summit: report”. CBC News. ^ Amanda Reavy. “Police review board gets started”. The State Journal-Register Online. Archived from the original on 2016-03-04. ^ “Star Exclusive: Police ignore SIU’s probes”. Toronto Star. February 22, 2011. ^ “If Police Encounters Were Filmed”. The New York Times. October 22, 2013. ^ “Castle Rock v. Gonzales”. Cornell University Law School. Retrieved 2009-03-21. ^ See e.g. § 1 section 2 of the Police Act of North Rhine-Westphalia: “Police Act of the German state of North Rhine-Westphalia”. polizei-nrw.de (in German). Land Nordrhein-Westfalen. Archived from the original on December 10, 2008. Retrieved 2008-08-10. ^ “Law Enforcement Statistics”. Bureau of Justice Statistics. Archived from the original on October 2, 2006. Retrieved 2007-05-23.